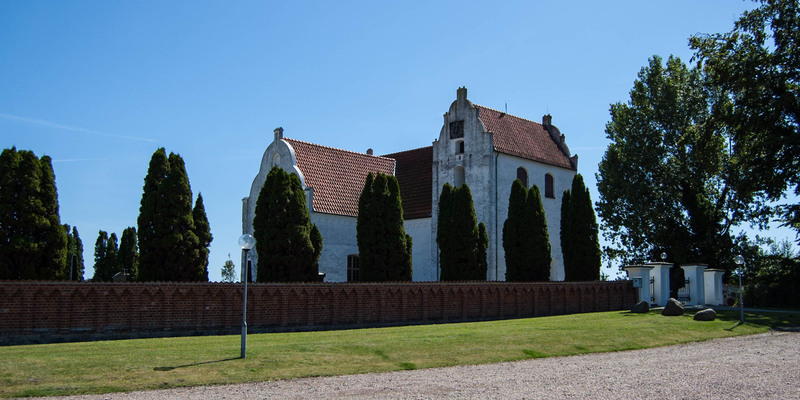 Maglarps Kyrka is located in the small village Maglarp[/link, about 6 kilometers west of [link=3-7]Trelleborg and is one of the oldest Romanesque brick stone churches in the Skåne County. 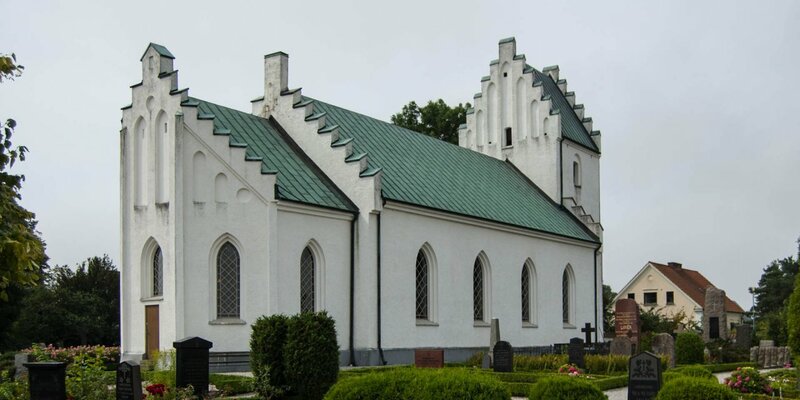 The church, which was built at the beginning of the 13th century, is often referred to as Maglarps Gamla Kyrka (Old Church of Maglarp), since a new church was consecrated in 1909, but was demolished in 2007 due to dilapidation. The old church was abandoned in 1909, but was re-consecrated after extensive renovation in the year 1971. 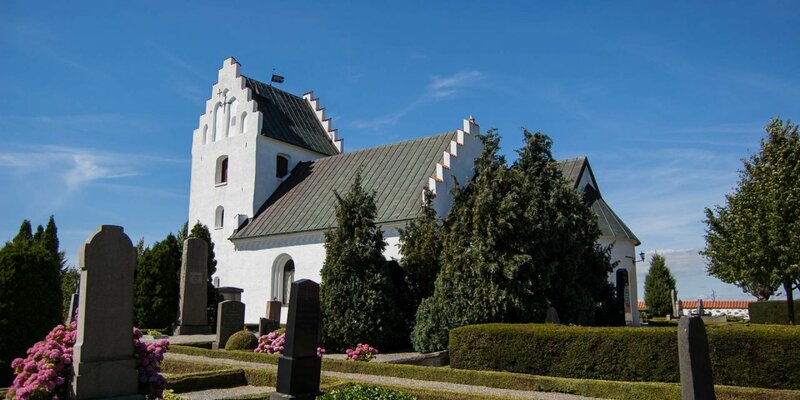 At a time when most of the stone churches in Sweden were made of natural stones, the Maglarps Kyrka is one of the first medieval churches whose masonry is made of clay bricks. 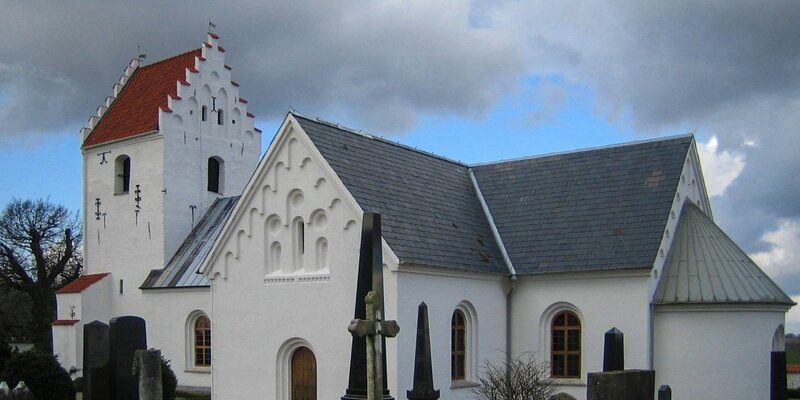 Today's appearance of the church largely corresponds to its original appearance from the Middle Ages. The tower, the nave, the choir and the semicircular apse are all from the 13th century. The gable of the tower was designed in Danish-Dutch Renaissance style in the 17th century. The windows in the nave were enlarged around 1790 to their current size, and the short side transept at the northern side was built around 1820. The main altar and baptismal font, both date from the period when the Church was built, while the cross-vault, where the remains of medieval ceiling paintings can still be seen, was built in the late 14th century. The great triumph cross was carved from oak wood early 15th century and the 1568-built pulpit is one of the oldest in Skåne. The altarpiece in Baroque style was created in 1759 by Johan Ullberg, a wood sculptor who created some works in the churches in the region Söderslätt. For example, the altarpiece in Stora Hammars Gamla Kyrka, only 10 kilometers away.